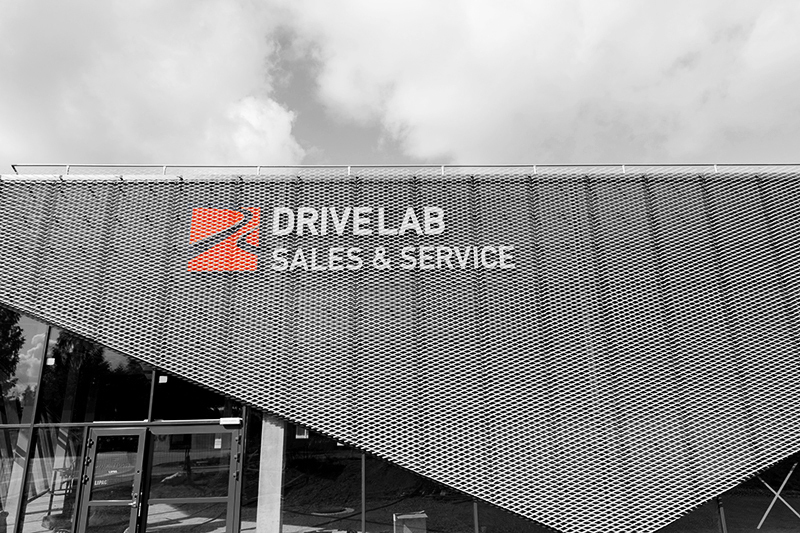 Strategically located a few minutes from Stockholm Arlanda Airport, just along road 263 and highly visible from the E4 motorway, DRIVELAB Sales & Service area is a hub for major automotive sales and service providers and offer auto owners a unique full-service experience. The area has with Drivelab Sales & Service opening expanded the facilities with another 5000 sqm in a first stage. 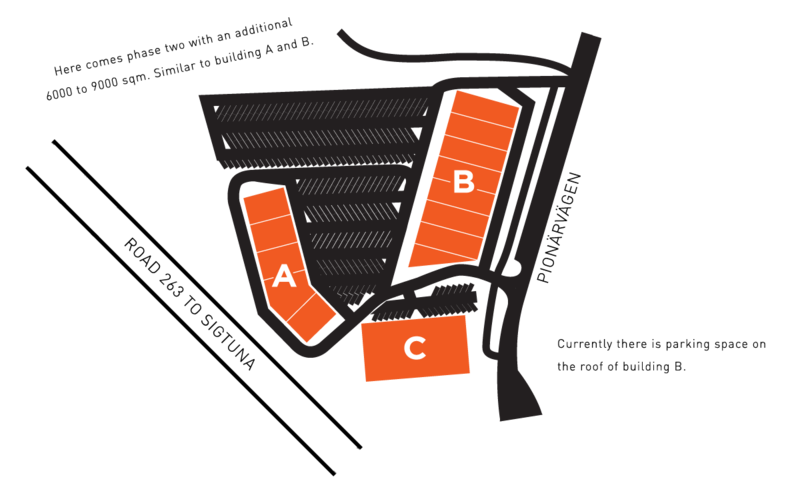 The additional space holds an all new sales and service area. Car dealerships where you can buy new or used, trade-in or sell vehicles, the area contains a vehicle inspection and testing center, a full-service auto body repair shop, an auto glass repair shop and a reconditioning service center. The proximity to Arlanda Airport means you can park your car using our long time parking and get it conveniently inspected and repaired – while away on holiday. There are plans in the near future – in a second phase – to expand DRIVELAB Sales & Services with an additional area of 6 000-9 000 sqm. Vehicle inspection and testing center, a full-service auto body repair shop, an auto glass repair shop and a reconditioning service center. Used cars for competitive prices. At GT Bilinvest you can buy used cars at competitive prices. Our extensive experience and good contacts with suppliers and customers makes it so that we can satisfy almost everyone's desires when it comes to cars in the price range from 30,000 to 300,000 SEK. For more information, visit our website www.gtbil.se. Newer Swedish sold cars at low prices. Bilföretaget Allinvest is a company that focuses on newer Swedish sold cars. Our ambition is to always have the prices as low as possible and we succeed with that thanks to low overheads. We welcome your Swedish sold trade-in car and try to give you a price by telephone. For more information, visit our website www.allinvest.nu. Vi på Thulins Bil handlar vi med kända bilmärken till rätt priser. Våra bilar är alltid kontrollerade, nyrekondade och tål en rejäl granskning. Allt för att du som kund ska känna dig trygg och nöjd med din nya bil. We are a private car company that focuses on selling cars 0-3 years old. Here you will find specifically handpicked premium cars at competitive prices. Our many and wide purchasing channels means that we can get most of the cars at the right prices. Most of our cars can lease when they have left the VAT which is beneficial for you business owners seeking a new car. Sell, exchange and buy used cars. We work long-term and are confident that good service is the key to success. Buying or selling a car with us should feel safe and be simple. Always the right service for your car. MECA has a staff of skilled mechanics and they are waiting for your car. Being a MECA repair shop means that we have the skills to take care of all ordinary cars. This in turn means that there is no rut or routine where you work the car brand day after day, week after week. Every car that comes in gets the attention it requires. Control inspection and registration inspection. Opus bilprovning provides control inspection and registration inspection of all types of vehicles as well as a range of additional services for safe and economical vehicle ownership. Our network of stations covers 70 inspection stations around the country. We always guarantee an inspection appointment for light vehicles within 48 hours! Book directly through the online reservation, use our service Opus Drive-In, or call us at 0775-500 300, and we will help you. We are specialists in the replacement and repair of automotive glass. Professional car service and reparation to the right price. Full service sports car repair shop. Corvette - Camaro - Dodge - Ferrari - Ford Mustang - Lamborghini etcetera. Full service sports car repair shop, custom builds, Engine Works, Power Survey / Mapping - Rototest dyno, wheel alignment, road management, spare parts, accessories, racing equipment etcetera. Car auctions on location or online. Fordonskammarens bilauktioner offer you as bidder unique choices. You can participate in the auction on location in Motor Town Arlandastad, bid and/or follow the auction live through our website with audio and video on your computer. You can also bid/put in absentee bids through our website before the live auction.